"This is dedicated to sky junkies who get high on living to the extreme. 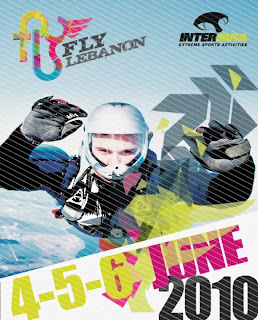 Nothing beats the rush of having just the wind on your back, and this summer the sky is definitely the place to be as Fly Lebanon brings the first extreme sports event to the country." *all day packages to be shared soon. Participating Countries: Lebanon, Jordan, Kingdom of Saudi Arabia, United Arab Emirates, Kuwait, Egypt, Qatar, Tunisia, Iran, France, Germany, Poland, Switzerland, UK, Spain and Hungary.